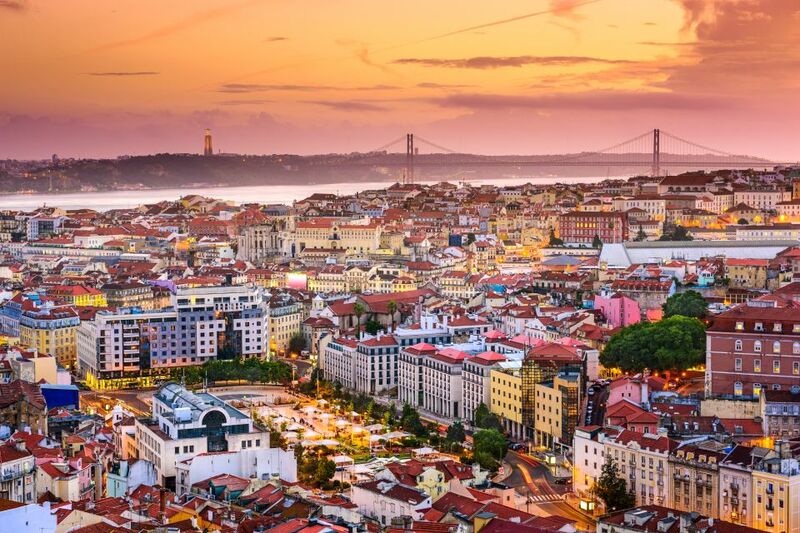 Situated on seven beautiful hills is the charming city of Lisbon. 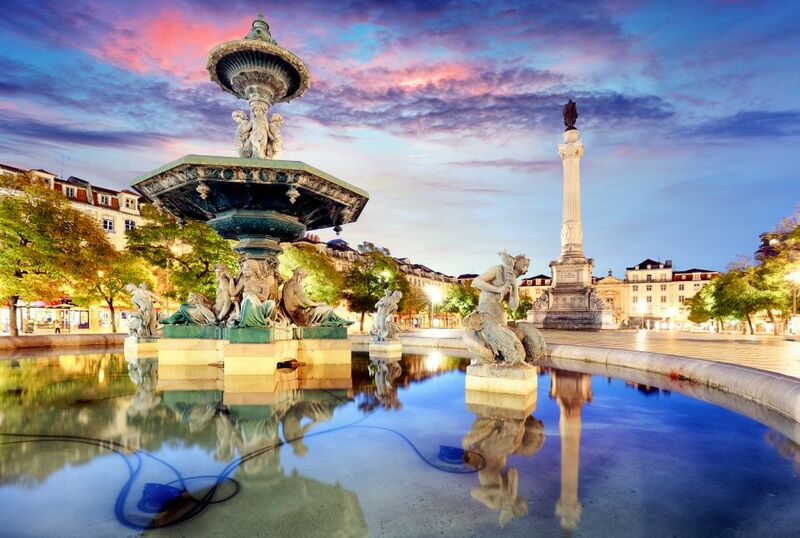 Bustling with Gothic architecture, a bohemian vibe, colorful streets, and delicious cuisine, the city is sure to leave a happy imprint on your mind. Read on to know how to experience the best of Lisbon in a day. Start your day early from Principe Real Square and be inspired by the artistic spirit of Lisbon. The square is full of cafés, vintage galleries, trendy shops and miniature gardens. Stop at Sao Roque Bakery or the Nata Pastry Gallery for delicious baked bread, pastries and cakes. The charming neighborhood is known for its breathtaking views of the city. So after a tasty morning treat, walk towards Chiado, and take ample pictures from the best viewing platform, Sao Pedro Alcantara. Chiado Square has an eccentric Portugese feel to it, and is a shopping hub. You can admire the exquisite art that surrounds you, or grab a few souvenirs for your loved ones. Keep walking downhill towards Lisbon's main square, Dom Pedro IV. If you're able to reach Principe Real Square by nine in the morning, then around noon you'll be at Lisbon's liveliest square, Dom Pedro IV, which was completely rebuilt after the 1755 earthquake. Here is your chance to spot some of the city's best restaurants, cafés and bars. Enjoy a Portugese meal in Lisbon's main square or wait to have it in Comercio Square when the locals are having lunch (from 2 p.m to 3 p.m.). Here's a tip: If you're interested in Portugese history, or want to explore Lisbon's impressive architecture, then start from Comercio Square instead. You'll be able to cover most of the tourist spots. Praca do Commercio is also known as Terreiro do Paco, since it was here that the Royal Palace, Palacio da Ribeira, stood before the earthquake. At its centre lies the unmistakable statue of Dom Jose I who was Portuguese King at the time of the natural disaster. 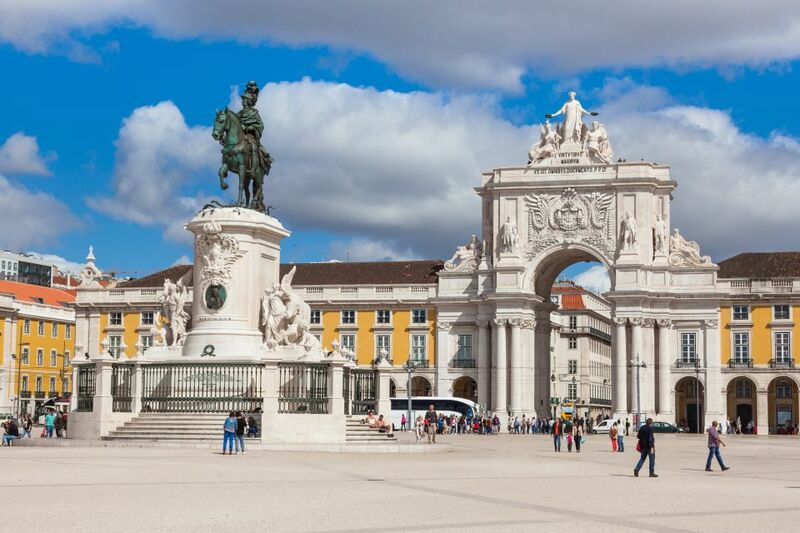 The biggest crowd-pleaser, the Rua Augusta Arch, the triumphal arch, was designed by Portugese architect Santos de Carvalhoto to celebrate the reconstruction of Lisbon after the devastating earthquake. This is also where an attack on the Portuguese royal family was planned, leading to the end of the monarchy in 1908. After all that history, what better place to relish a sumptuous Portugese meal than here. You can try some local beer and Portuguese cuisine at the Museum da Cerveja, or enjoy tasty tapas and craft beer at the cosy restaurant, Taberna Sal Grosso. Time to head towards the magnificent 16th Century monastery of Jeronimos. It's a 30-minute tram ride from Comercio Square (Tram 15), which you won't regret taking. The monastry is one-of-a-kind in Europe with its decorative features, intricate carvings and massive vaulted ceilings. It's also a UNESCO World Heritage site with the tombs of the royal family, Vasco de Gama, Luis de Camoes and other Portuguese notables. If you have time, don't forget to visit the Gold Treasure room in the National Museum of Archaeology in the west wing of Jeronimos Monastery. Note: Entry to the church is free, but for the monastry you have to pay seven euros, and it's free for children under 14. 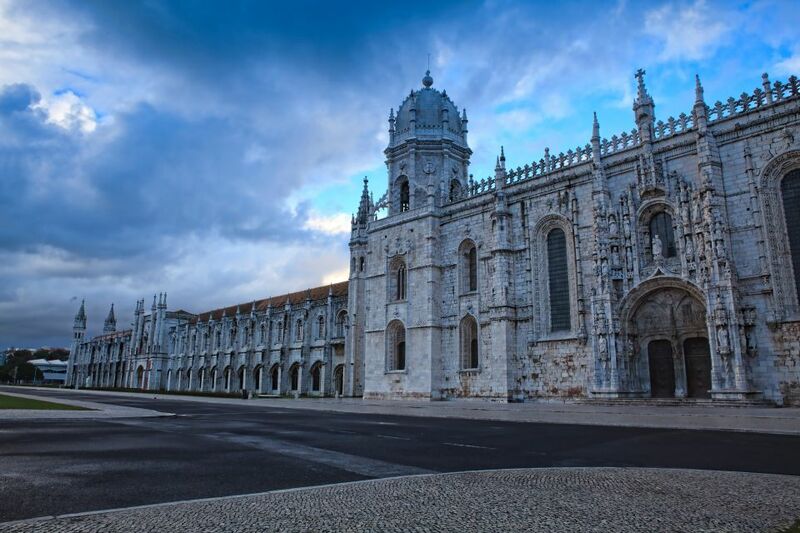 With this mandatory detour to Jeronimos Monastery over, it's time to head toward the river and be mesmerised by the views of the 25th of April Bridge and Belem Tower. Opened in 1966, this 7,473-foot suspension bridge was inspired by the famous Golden Gate Bridge in San Francisco. 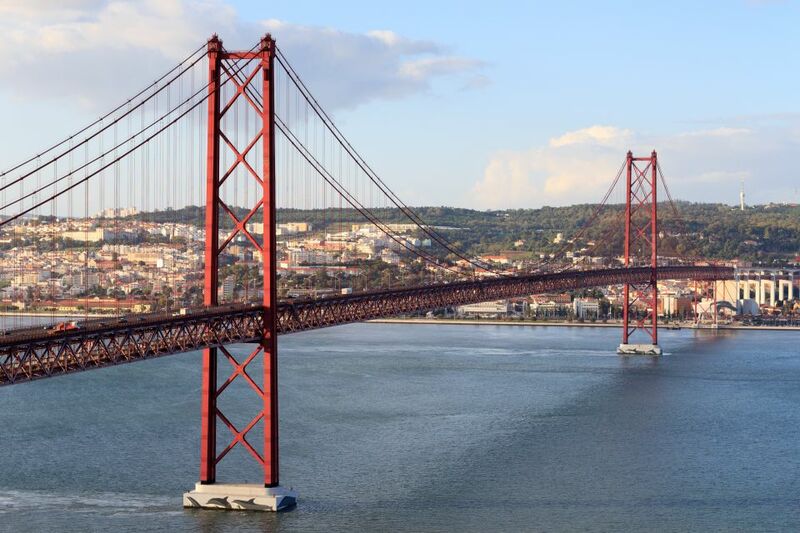 The 25 de Abril Bridge not only resembles it, but is also painted the same color. Connecting the Portugese capital with the small municipality of Almada, it's Europe's longest suspension bridge and an engineering marvel.